Can marketing tradition and origin protect the value of agricultural and food products? What global and regional legal frameworks for origin-branding exist and how effective are they? These are just some of the questions that will be addressed during the Brussels Policy Briefing ‘Geography of food: reconnecting with origin in the food system’ on 15th May. The Briefing will take place on Wednesday 15th May 2013 (9h00-13h15) at the ACP Secretariat, room C.
The Briefing will discuss traditional agricultural products (geographical indications or “GIs”) and other origin marketing tools in the context of ACP countries. It will raise awareness of the opportunities and challenges posed to origin-based marketing, and encourage information and expertise exchange on proven successes on protection and promotion of GIs. The first session will look at different ways of preserving traditional knowledge: frameworks, processes and tools, and will discuss the various uses and tools to protect and preserve traditional agricultural and food products, as well as their added value in terms of quality, reputation, competitiveness, profitability and support to biodiversity. Another session will review the potential of origin-linked tools for ACP producers, by focusing on sustainability factors. The meeting will conclude with some key future actions in support to ACP countries. The event will feature several prominent industry experts and thought leaders including Fernando Dos Santos, Director General of the African Regional Intellectual Property Organization; Alhaji Muhammad Mumuni, Secretary-General of the ACP Secretariat, Loretta Dormal-Marino, Deputy Director-General for International Affairs in DG Agriculture and Rural Development, European Commission; Johann Kirsten, Head, Dept of Agricultural Economics at University of Pretoria; Marie-Paule Rizo, Head, Industrial Design and Geographical Indications Law Section in WIPO; Bernard O’Connor, from O’Connor European Lawyers; John Malcolm Spence, Senior Coordinator, Intellectual Property Issues in the CARICOM Secretariat; Stefano Padulosi, Senior Scientist, Marketing Diversity at Bioversity International; Marie Antoinette Haba, Head of cooperation and development in the Ministry of Agriculture of Guinea and focal point on GIs of OAPI ; Anselme Bakudila Mbuta, Slow Food Studies Centre, Italy. The Brussels Briefing is organized by the Technical Centre for Agricultural and Rural Cooperation (CTA), in collaboration with the European Commission’s Directorate-General (DG) for Agriculture and Rural Development, and Development and Cooperation, as well the ACP Secretariat, and Concord. protection of traditional agricultural products has the potential to become an opportunity for sustainable development in ACP countries. This potential for development of GIs in ACP countries is illustrated especially by the increasing global marketing of specialty coffees. 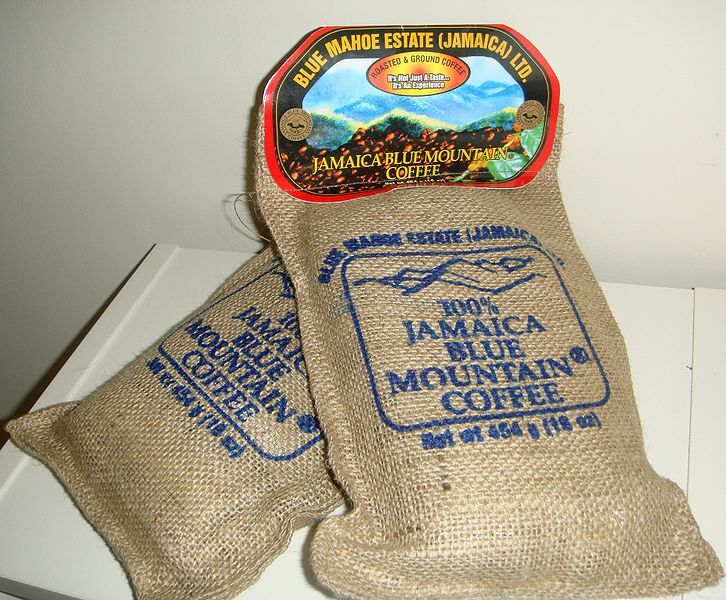 In the Caribbean, “Blue Mountain coffee” from Jamaica is protected as a GI. This product has built its way back from notoriety as a low-quality producer to one of the most remunerative GIs with strong state support. In 2013, sixteen African countries (members of OAPI – Organisation africaine de la propriété intellectuelle) are to recognize the first three foodstuff products as Protected Geographic Indications (PGIs): Penja pepper, Oku honey and Ziama-Macenta coffee. Moreover, the signature in November last year of the cooperation between the European Commission and the African Regional Intellectual Property Organization (ARIPO) to help improve the protection of traditional agricultural products (geographical indications or “GIs”) in the 18 ARIBO member countries represents another important indicator of the growing interest on the topic in developing countries. You can already register by sending a message to boto@cta.int, or filling in the form on the right. The Briefing will be fully webstreamed in English and French (the link will be posted online on the day of the event). To stay updated with our activities follow our Facebook group and Twitter account.